On one Monday morning every January, everyone who is involved with children’s books anxiously awaits the announcement of the awards that are given by the American Library Association. 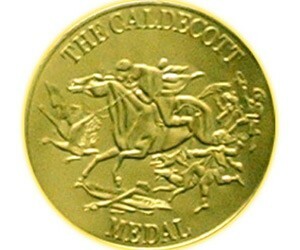 Librarians, teachers, students, authors, illustrators, booksellers, and publishers all wonder whether their favorites will be mentioned for the Caldecott and Newbery Awards or whether a little recognized book will be honored. Will we agree with the choices? Will there be controversy? Who will get the awards? 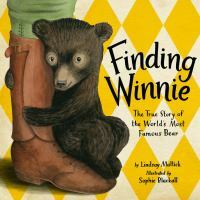 The 2016 Caldecott winner is Finding Winnie: The True Story of the World’s Most Famous Bear, illustrated by Sophie Blackall and written by Lindsay Mattick (Little, Brown). 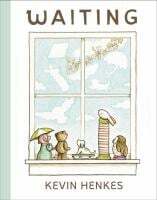 I have especially shared this book with our third graders as an introduction to my Winnie-the-Pooh unit. This true story chronicles the life of a bear cub that became the inspiration for A.A. Milne’s classic, Winnie-the-Pooh. Harry Colebourn was a veterinarian in Canada. As a soldier during WWI, his unit was assigned to travel to England and France to care for the horses used in battle. On their train ride in Canada, Colebourn bought a bear cub that was being sold by a trapper at one of the train stops. He named the cub Winnipeg, and she became known as Winnie. Lindsay Mattick is the great-granddaughter of that soldier, and she wrote the story with a nod to the style that A.A. Milne used in Winnie-the-Pooh. She wrote little asides with her son asking questions, just as Milne’s son, Christopher Robin asked his father questions during his story. I am a huge fan of Sophie Blackall’s art and spirit. Her illustrations in the book are in watercolors to depict the history of Winnie. She used Chinese ink drawings for the present day author and her son. It is with a bit of serendipity that there was another picture book written this year about Harry Colebourn and his pet. 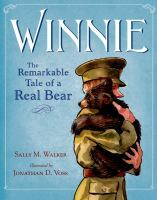 Sally M. Walker’s fictionalized account of Winnie’s origins is Winnie: The True Story of the Bear Who Inspired Winnie-the-Pooh (Macmillan). 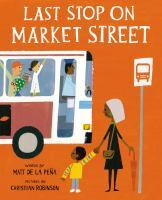 This version is interesting to pair with the Caldecott winner. The children became book critics as they examine the differences in the art and writing. 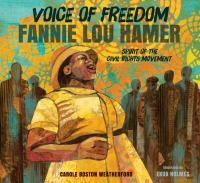 There were four books that are Caldecott Honor Books this year. 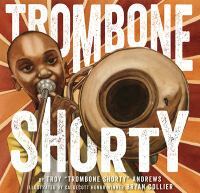 This year’s Newbery Award books also deserve a separate and future blog entry.